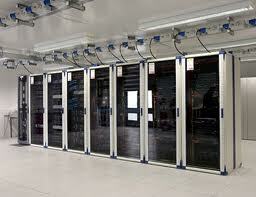 Server is the most powerful and fastest, and also very expensive machine. It is used to process large amount of data and to solve the complicated scientific problems.Â The severs computers are used in large organization such as Banks, Airlines and Universities, that it is a big decision for organization to buy a proper server machine according to their needÂ Below is information and help for what to look out for when purchasing a computer server. It is important to also note that every business is unique and may require more or less of what is listed below. Today there are two options to buy a Server computer, a new or used computer. Used computer are some time out of date, but you can buy it with very low price as compare to new computer, but I think branded or used computer are much stable than a new computer. Before purchasing a Server computer consider if you should purchase a new or used computer. Many individuals sell computer before they are out of date allow you to purchase a relatively decent computer. Before purchasing a new computer from a computer manufacture look at what is available and review the below precautions when purchasing a computer. When purchasing a Server computer it is likely that you will have a general idea of what you may like in the computer or how you would like to configure the computer. Below is a listing of the various components likely to be found in a computer and recommendations and tips when considering any of the following components. Generally there are two types of Computer Case are available in market, for ExampleÂ Tower case and desktop case. The system unit of the desktop personal computer can lie flat on the desk or table and the monitor is usually placed on the system unit. An other model of the computer case is known tower. The system unit of the tower PC is vertically placed on the desk or table. But purchasing a computer case is generally not an important consideration when you are going to buy a Computer.Â However it depends upon the user needs and choice to building a computer case may find it important to consider the following considerations. CD-R -always will be an important consideration to think about when purchasing a new computer or used computer. A CD-writer or recorder (or simply CD-R drive) is used to write data on CD-R disks. Usually, a CD-writer can read information from CD as well as write information on CD, The locally produced CD-R disks are created with CD writer. The speed of these drives is up to 52X or more. DVD – DVD stands for Digital Video Disk Versatile Disc. DVD-ROM is an extremely high capacity optical disc with storage capacity from 4.7 GB to 17 GB. Hard drives have and always will be an important consideration to think about when purchasing a new computer or used computer. Hard disk is most commonly used storage device in personal computers and laptop computers. Most application programs and operation systems require hard disk for installation and operation. The computer processor is and will always be an important consideration when purchasing a computer. Processor is considered the brain of the computer. The CPU fetches instructions of program from main memory and executes them one by one. The speed of the CPU is measured in Mega Hertz or Giga Hertz and speed from 500 MHz to 3.4 GHz, it depends upon a user needs, that is why purchasing a processor is an important consideration when building or buying a computer. There are several considerations and additional information about what to ask and look for when purchasing a processor directly or already installed into a computer.